Much is made of tempo as it relates to time feel in the world of drum & bass and dubstep. When producers of the former try their hand at the latter, it sometimes lacks the genuine feel so essential to a good composition. With “Sparse Land,” Tim Hielscher (aka Current Value) and Dean Rodell deliver mixed results on an EP that combines the two genres with a touch of hard techno. This very combination is the idea behind Subtrakt, the Austrian label co-owned by Rodell. The big tune here is “Requiem”, a 170 bpm track employing a weepy piano riff, a pitched up gated snare, and a novel halftime feel. Not since the glory days of Kemal & Rob Data have I been so excited about this tempo. Perhaps it is no coincidence this pair also experimented with infusing techno into such fast music. 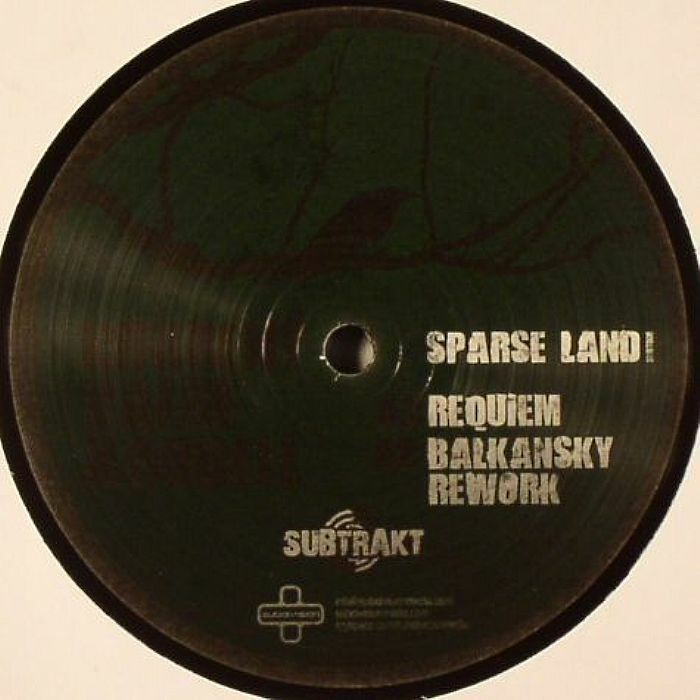 The track should have been given it’s own side, but is instead followed by Balkansky’s slowed refix suffering from the phenomenon described above. 140 bpm does not a dubstep track make. The flipside fares better with “Corridor.” Mission control chatter, spooky church bells, rapid-fire hi-hats, and buzzing bass notes are layered to create compelling tension. Think Vex’d circa 2005 or anything on Tech Itch’s Ascension label. “User Error” takes the genre stew to yet another level by throwing in reggae elements. This includes an interesting use of a horn section sample, but is ultimately too contrived for my taste. Two hits and two misses add up to an interesting attempt at genre-splicing that will certainly have me looking forward to what these guys do next.